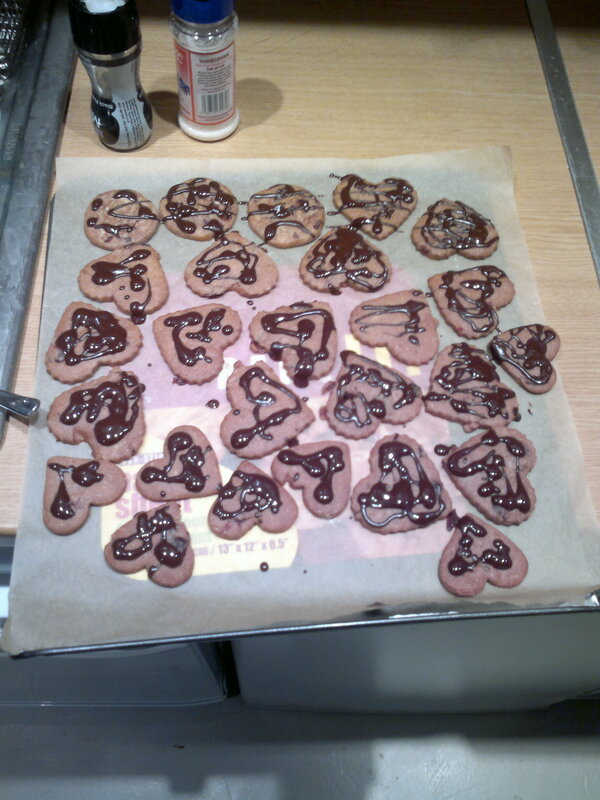 I made these biscuits for my girlfriend (and me) for Valentines. They’re organic, and made from spelt, which Wikipedia tells me is a hexaploid relative of wheat. Lovely.